Files with nmsv file extension can be mostly found as audio data files generated using MASSIVE audio synthesizer developed by Native Instruments. What is nmsv file? How to open nmsv files? The mmsv file extension is associated with the MASSIVE, a software synthesizer for Microsoft Windows and Mac OS X (macOS) operating systems that allows users to synth basses and leads. A .nmsv file stores audio data. A software synthesizer for synth basses and leads.The analog concept belies the contemporary, cutting-edge sound it generates. The high-end engine delivers pure quality, lending an undeniable virtue and character to even the most saturated of sounds. Use MASSIVE to open or edit *.nmsv audio files. Use MASSIVE to export or convert *.mmsv files to other audio formats. and possible program actions that can be done with the file: like open nmsv file, edit nmsv file, convert nmsv file, view nmsv file, play nmsv file etc. (if exist software for corresponding action in File-Extensions.org's database). Click on the tab below to simply browse between the application actions, to quickly get a list of recommended software, which is able to perform the specified software action, such as opening, editing or converting nmsv files. Programs supporting the exension nmsv on the main platforms Windows, Mac, Linux or mobile. Click on the link to get more information about MASSIVE for open nmsv file action. Programs supporting the exension nmsv on the main platforms Windows, Mac, Linux or mobile. Click on the link to get more information about MASSIVE for edit nmsv file action. Programs supporting the exension nmsv on the main platforms Windows, Mac, Linux or mobile. Click on the link to get more information about MASSIVE for play nmsv file action. Programs supporting the exension nmsv on the main platforms Windows, Mac, Linux or mobile. 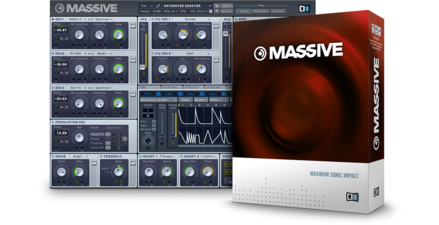 Click on the link to get more information about MASSIVE for create nmsv file action.